Item # 316786 Stash Points: 2,795 (?) This is the number of points you get in The Zumiez Stash for purchasing this item. Stash points are redeemable for exclusive rewards only available to Zumiez Stash members. To redeem your points check out the rewards catalog on thestash.zumiez.com. 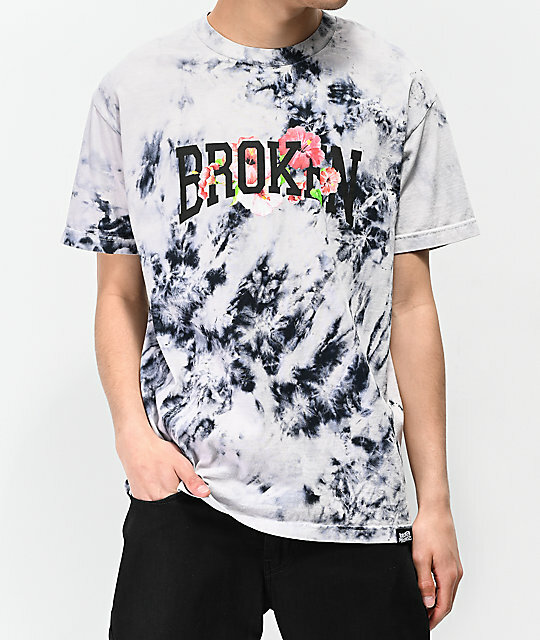 Add some tie dye to your daily looks in the Broken Promises Drop In Black & White Tie Dye T-Shirt. 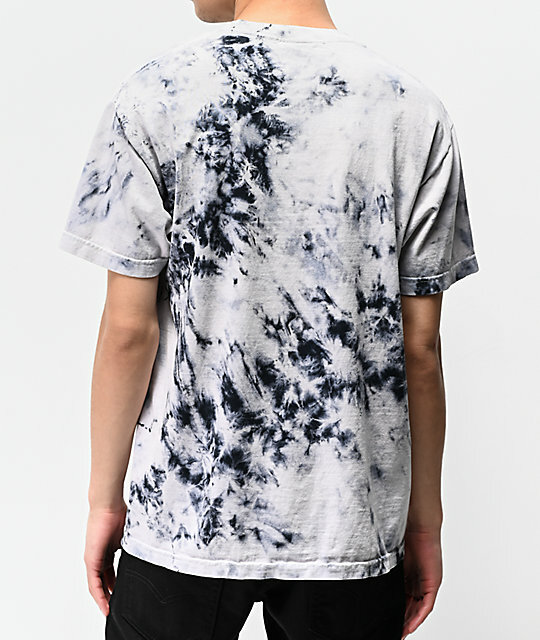 With an allover black and white tie dye construction, this t-shirt is most prominently highlighted by logo script screen-printed across the center chest with a floral backdrop for a classic splash of branding. 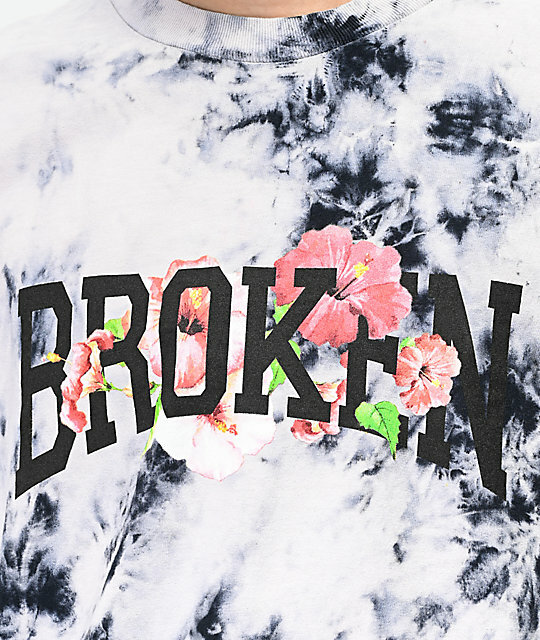 Drop In Black & White Tie Dye T-Shirt from Broken Promises. Allover black and white tie dye colorway. Screen-printed floral script logo graphic on the chest.